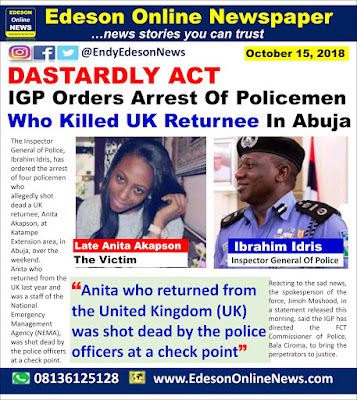 The Inspector General of Police, Ibrahim Idris, has ordered the arrest of four policemen who allegedly shot dead a UK returnee, Anita Akapson, at Katampe Extension area, in Abuja, over teh weekend. Anita who returned from the UK last year and was a staff of the National Emergency Management Agency (NEMA), was shot dead by the police officers at a check point. Reacting to the sad news, the spokesperson of the force, Jimoh Moshood, in a statement released this morning, said the IGP has directed the FCT Commissioner of Police, Bala Ciroma, to bring the perpetrators to justice. 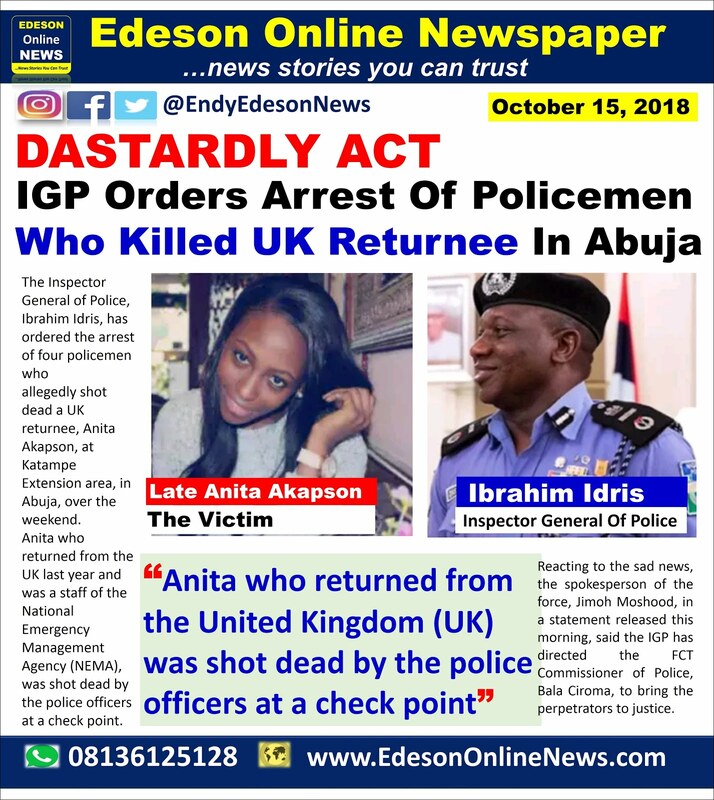 of policemen involved in the incident that resulted in the death of Miss Anita Akapson at Katampe Extension, Abuja on the night of Saturday, 13th October, 2018; and bring the perpetrators to justice. You did not tell us the events that led to her being shot? "The IGP has directed the commissioner of police to bring the perpetrators to justice"
What justice can bring back Anita to life? The evil deed has been done by the world most unprofessional police force. A police force that prides itself in murdering innocent citizens but protects criminals. Change will certainly come, but who knows who will be next? At the end, that stinking, good for nothing police officer will be given a mild sentence...dismissed from the force...and the beat goes on.. But Anita won't be here to witness all these. The precious soul of Anita has gone from among us....forever, while Nigerians and her entire family groan in eternal grief. 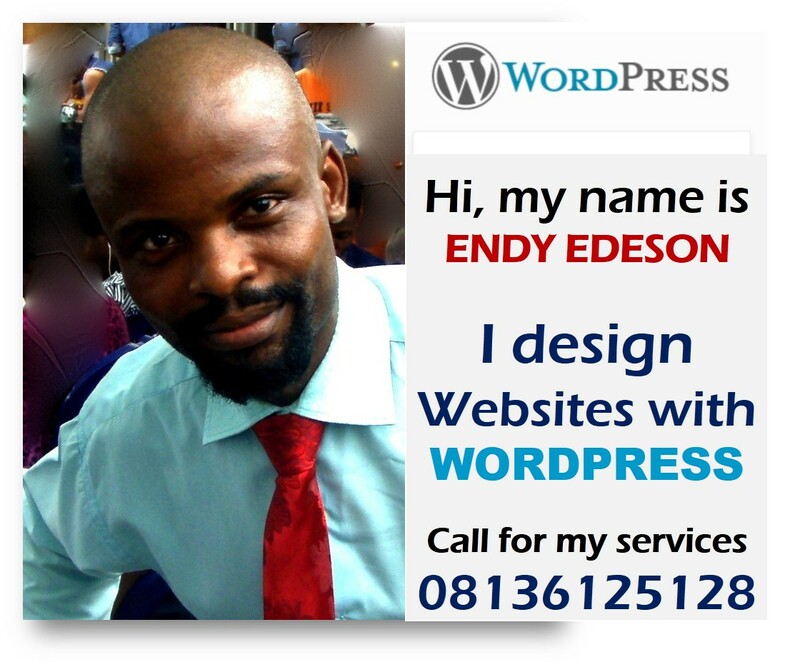 Endy Edeson Anita's is my cousin, its damn painful n pity. 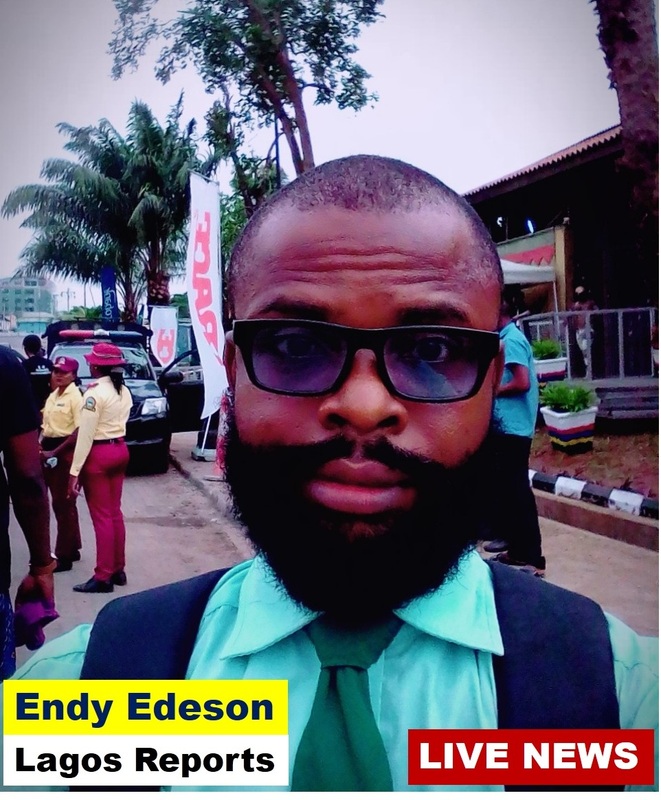 Endy, the truth is bitter but it remains the truth. Nigerians are safer outside Nigeria than in Nigeria. Apart from South Africa, do you hear of any country in the world where Nigerians are killed daily like in Nigeria? 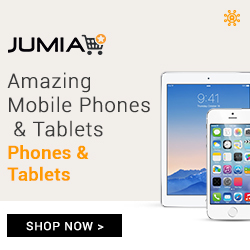 We have 21 million Nigerians living outside. This girl has been living in the UK for years now. The moment she decided to visit her country, she is sent to the great beyond. What is more revolting is the fact that IGP Idriss and Moshood are all at their positions. The bulk stops at the boss table. Buhari is a calamity.